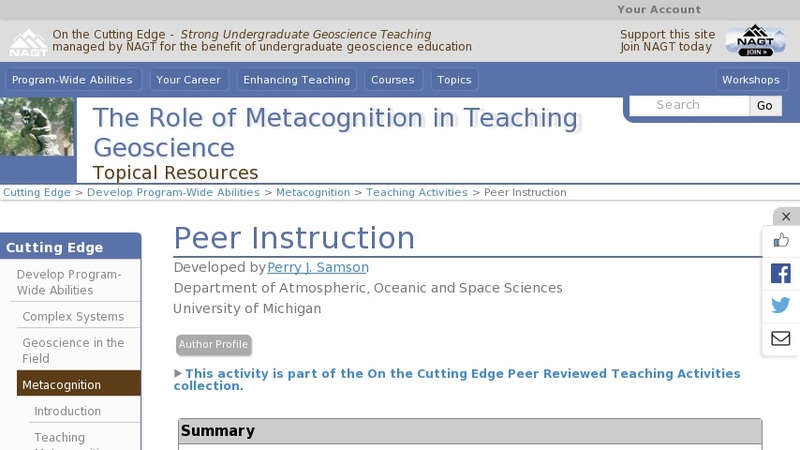 Peer instruction may offer some of the richest opportunities for metacognitive teaching. Reciprocal (peer) teaching forces the instructor to use a whole series of metacognitive processes such as determining what the learner already knows, deciding what is to be taught/learned and how; monitoring comprehension and evaluating the outcome in terms of increased comprehension, which in turn encourages the instructor to reflect upon his or her own thinking processes. By asking the students to defend their answer to a question to another student you are, in effect, moving the role of "teacher" to the students.